Aperture refers to the size of the opening in the lens that determines the amount of light falling onto the film or sensor in your camera. The size of the opening is controlled by an adjustable diaphragm of overlapping blades similar to the pupils of our eyes. 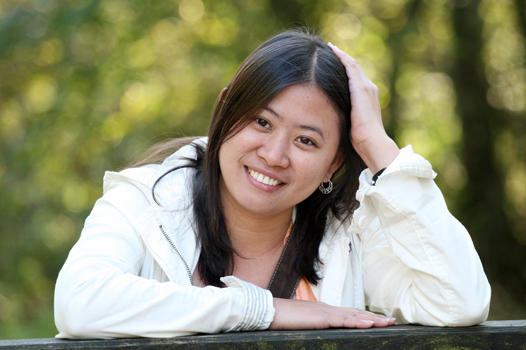 Aperture affects exposure and is part of the exposure triangle and depth of field (used to blur backgrounds). Just like successive shutter speeds, successive apertures halve the amount of incoming light. To achieve this, the diaphragm reduces the aperture diameter by a factor 1.4 (square root of 2) so that the aperture surface is halved each successive step as shown on this diagram.Because of basic optical principles, the absolute aperture sizes and diameters depend on the focal length. For instance, a 25mm aperture diameter on a 100mm lens has the same effect as a 50mm aperture diameter on a 200mm lens. If you divide the aperture diameter by the focal length, you will arrive at 1/4 in both cases, independent of the focal length. Expressing apertures as fractions of the focal length is more practical for photographers than using absolute aperture sizes. These “relative apertures” are called f-numbers or f-stops. On the lens barrel, the above 1/4 is written as f/4 or F4 or 1:4.We just learned that the next aperture will have a diameter which is 1.4 times smaller, so the f-stop after f/4 will be f/4 x 1/1.4 or f/5.6. “Stopping down” the lens from f/4 to f/5.6 will halve the amount of incoming light, regardless of the focal length. Hopefully you now know the meaning of the f/numbers found on lenses: Because f-numbers are fractions of the focal length, “higher” f-numbers represent smaller apertures.Maximum Aperture or Lens Speed The “maximum aperture” of a lens is known as it’s “lens speed”. 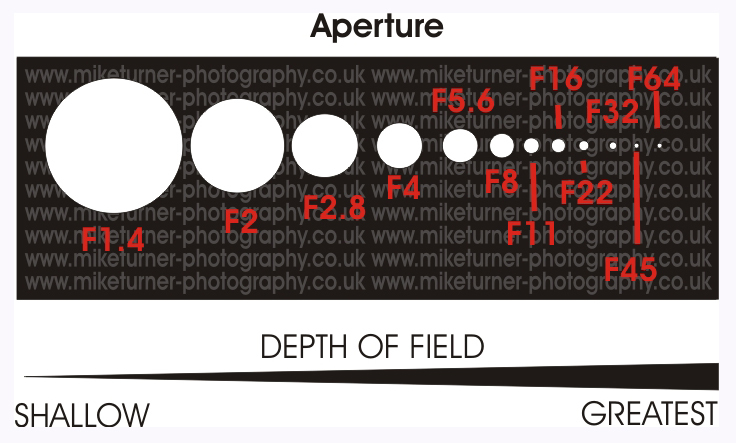 Aperture and shutter speed are interrelated via exposure (see exposure triangle). A lens with a large maximum aperture (e.g. f/2) is called a “fast” lens because the large aperture allows you to use high (fast) shutter speeds and still receive sufficient exposure. Such lenses are ideal to shoot moving subjects in low light conditions. Zoom lenses specify the maximum aperture at both the wide angle and telephoto ends, e.g. 28-100mm f/3.5-5.6. A specification like 28-100mm f/2.8 implies that the maximum aperture is f/2.8 throughout the zoom range. Such zoom lenses are more expensive to buy and more weighty. As mentioned above, lens aperture also affects how much in front and behind the lens focus distance will appear to be in focus in the image. This is called Depth of Field. The most common reason for wanting a narrow aperture (high f-number) is to have a very deep depth of field in which everything (or very nearly so) appears in focus. A very deep depth of field is almost always desired for landscape photographs. A wide aperture (low f-number) will create a shallower depth of field. The wider the aperture, the shallower the depth of field. One of the common uses for wide apertures is in portraiture, to isolate the subject from a distracting (possibly cluttered) background. Check out online Video Tutorials great for beginners and more advanced photographers.